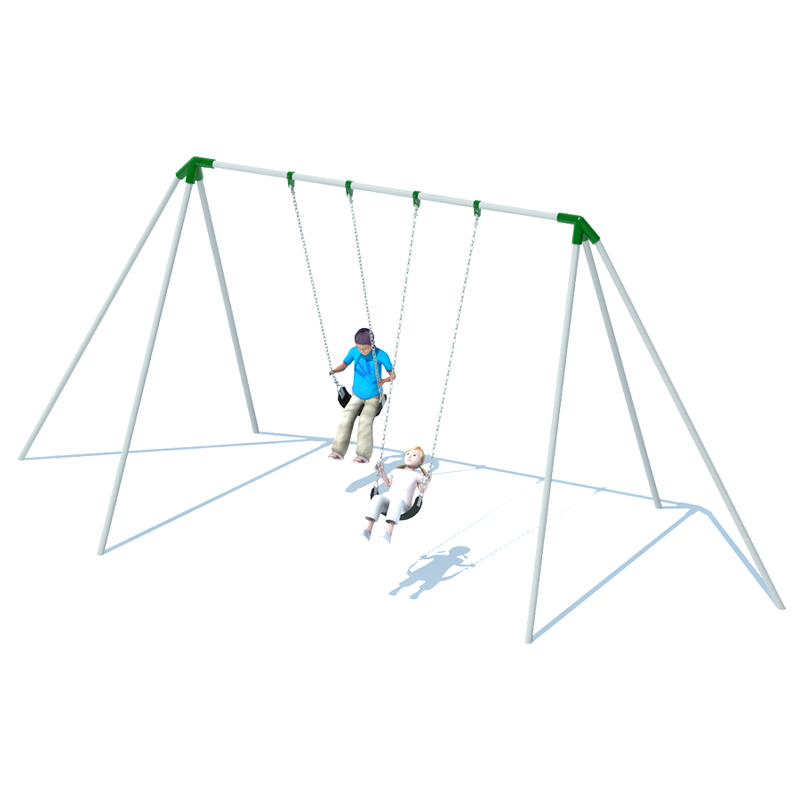 Get the 10' Tri-Pod Swing Frame and get up to 10' higher for even more swing set fun for up to 2 children! Our Tri-Pod Frames use 2-3/8” galvanized pipes for both the top bar and legs and have powder-coated aluminum castings to finish the junctions. Any choice of available colors for both the posts and seats will accompany the galvanized steel chains to completely match your playground.